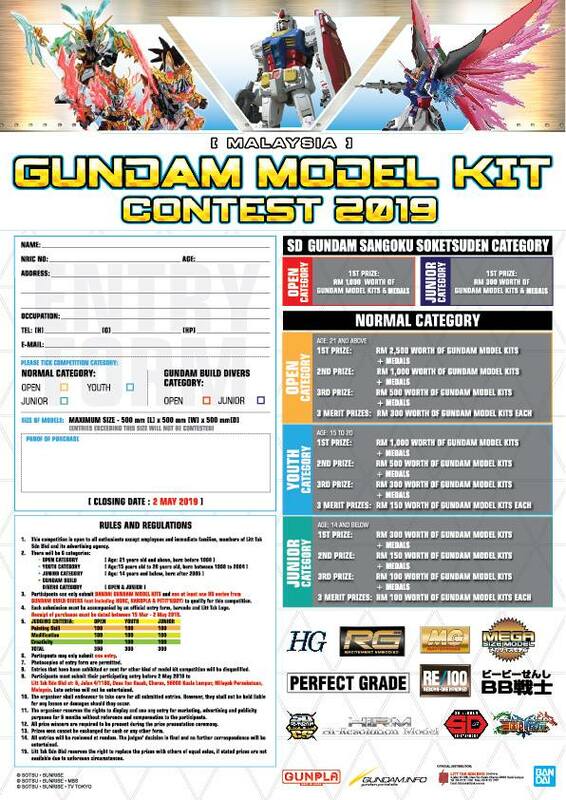 10 UNITS OF LIMITED RG ZAKU + 20 PCS BARBATOS LUPUS T-SHIRT GIVEAWAY FOR FREE. We are currently competing in the MALAYSIA TOP E-COMMERCE MERCHANT COMPETITION 2017, if we manage to get in to the TOP 10 LIST, we will giving out 10 UNITS OF LIMITED RG ZAKU + 20 PCS BARBATOS LUPUS T-SHIRT. THIRTY (30) winners will be selected in the Lucky Draw. 10 lucky winners will get 10 units of RG Zaku and 20 will get the Barbatos Lupus T-Shirt. Winners will be notified by 23rd August 2017 through email and must provide an available postal address to claim their prize. Postage of prize shall bear by oversea winner. The prize are not transferable, exchangeable for cash or any other items. Entrants into this Lucky Draw shall be deemed to have accepted the Terms and Conditions.